With a budget of $1,500, our goal this time was to create a gaming build which would allow gamers to play the latest games at 1080p, 1440p or 1600p at the highest possible settings (or pretty close to it). Additionally, we also designed this system to be as “futureproof” as possible, utilizing all the latest technologies including Intel’s latest Skylake architecture, DDR4 memory, USB 3.1 as well as support for M.2 PCIe Gen 3 x4. Intel recently launched the long awaited 6th generation core processors, codename Skylake, which continues to build upon the foundation set by its predecessors. While performance improvements are still within the 10-20% range from previous generation Haswell (and to some minor extent, Broadwell) processors, Skylake contains both a number of architecture and platform improvements that make it currently the best processor for a mid-range gaming system. For our $1,500 budget, we selected to go with the Skylake based Intel Core i5-6600K, which is the successor to the Intel Core i5-4690K, our favored mid-range gaming CPU for the Haswell generation. Clocked at just under 4GHz out of the box, the Intel Core i5-6600K is a quad core processor capable of running all of today’s games without bottlenecking. It’s also a “K” series processor, which comes with an unlocked multiplier for overclocking. Depending on the CPU itself and cooler combination, this will allow for ~15-25% improvement in performance. Those with higher budgets looking for even better compute performance may also opt for the Intel Core i7-6700K. Like the Intel Core i5-6600K, the Intel Core i7-6700K offers an unlocked multiplier, but the Intel Core i7-6700K also offers hyper-threading (8 threads) which give it up to ~25-40% better performance in heavily multi-threaded applications. Those not comfortable with, nor simply not interested in overclocking their systems should also take a look at the Intel Core i7-6700 or the Intel Core i5-6500. 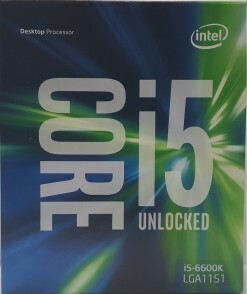 Those with greater compute needs may opt for the Intel Core i7-6700 which is a 4 core, hyper-threaded (8 theaded) processor while the Intel Core i5-6500 is a very well priced variant of the 6th Generation Intel Core processor which will offer great mid-range performance at a fantastic price point. Since we decided to go with an unlocked Intel Skylake CPU for our gaming PC build this month, we had to match it with an appropriate motherboard that was not only reasonably priced, but would also be a good platform with plenty of expansion capabilities down the road. Similar to what we’ve seen on previous generation Intel Core processors, Intel’s latest 6th Generation Core Processors require a new LGA 1151 socket, which is included with all Intel 100 series chipset based motherboards. While we’ve seen quite a few fantastic motherboards at the $150 pricerange, we decided to go with the MSI Z170A Gaming M3 which is one of MSI’s latest and greatest gaming motherboards. 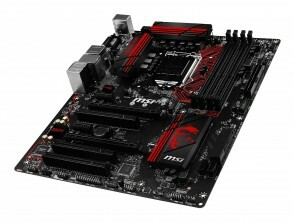 Carried over from their mainstream lineup of motherboards is MSI’s Military Class 5 components, which include titanium chokes, DrMos mosfets, Hi-c caps, and dark caps. In addition, as a part of the gaming series, MSI has also included several gaming oriented features such as Killer E2400 ethernet for low latency gaming. Additional features include support for SLI/CrossFire X, 4x USB 3.1 Gen 1 ports, 2x USB 3.1 Gen 2 ports, 2x USB 2.0 ports, 6x SATA 6Gb/s ports, 2x SATA Express ports, 1x M.2 PCIe Gen 3 x4 port, and 2x PCIe Gen 3 x16 slots. Furthermore, MSI includes their Audio Boost 3 powered by Nahimic Sound Technology which includes the use of high end Japanese capacitors, PCB separation, audio chip EMI shielding, headphone amplifiers, and more to significantly improve onboard audio performance. One of the biggest benefits to the Skylake platform is the ability to utilize DDR4 memory which is the successor to DDR3. 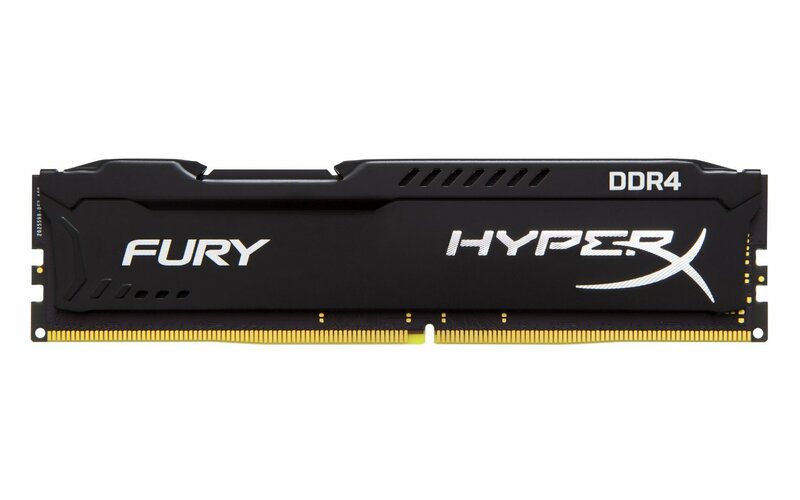 While the benefits of DDR4 haven’t yet been realized as it’s still relatively new in the consumer market, future DDR4 modules will provide significantly higher density, significantly higher performance and significantly lower energy consumption compared to its DDR3 counterparts. 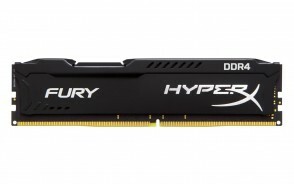 Our choice for this month is Kingston’s HyperX FURY Black 16GB DDR4 2,133MHz kit thanks to its reasonable cost, legendary Kingston reliability track record and simple yet aesthetically pleasing design. 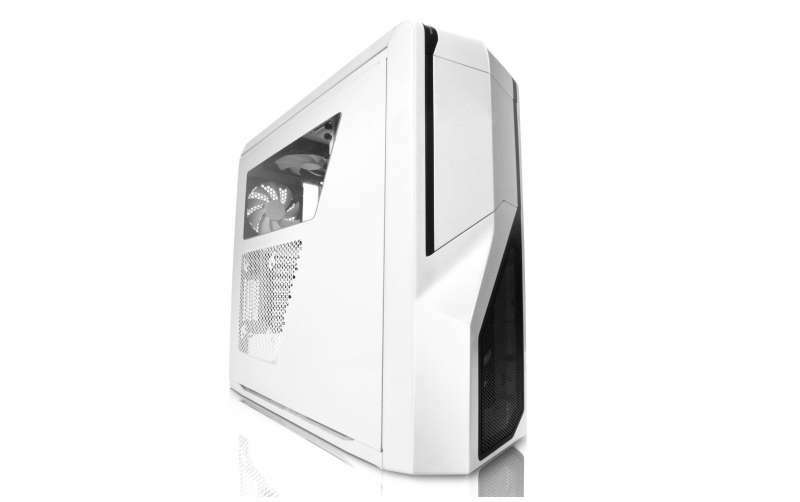 NZXT has always been one of our favorite case manufacturers for a while thanks to their innovative case designs that are not only great looking, but very functional as well. For our build this month, we decided to go with the NZXT Phantom 410, which was launched several years back, but still remains one of the top PC cases on the market under $100, and for good reason. In addition to its aesthetically pleasing and completely tool-less design, the mid-tower case includes support for up to eight fans, clearance for a 240mm watercooling reservoir up top, removable HDD cages for extra long graphics cards, integrated fan controller, top mounted USB 3.0/audio ports, and a whole lot more. When it comes to gaming systems, the most important component is going to be your graphics card and few graphics cards out there compare to the performance and power efficiency of the Nvidias Maxwell architecture based GeForce GTX 980. 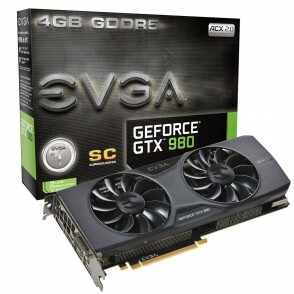 Our specific choice for this month’s build is EVGA’s variant of the GTX 980, the EVGA GTX 980 4GB SC Gaming ACX 2.0. The EVGA GTX 980 4GB SC Gaming ACX 2.0 includes a custom EVGA ACX 2.0 cooler designed to provide up to 26% better cooling performance and 36% less noise compared to stock coolers. In addition, the card is a “SC”, or SuperClocked variant which is overclocked out of the box for even better performance compared to the reference design cards. 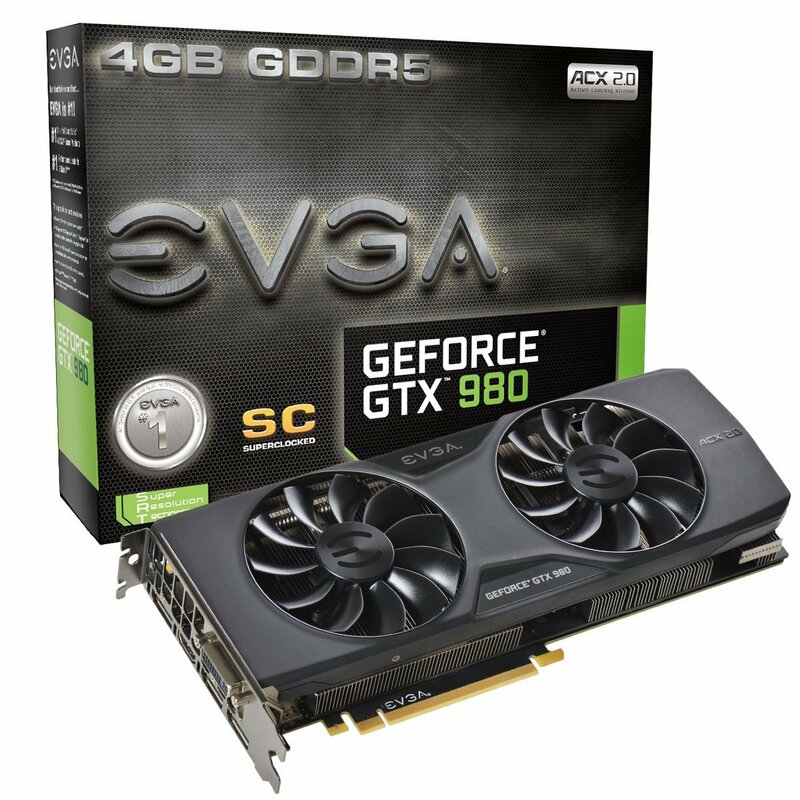 Those looking to play the latest games at the highest quality and resolution settings out there won’t be disappointed with the EVGA GTX 980 4GB SC Gaming ACX 2.0. 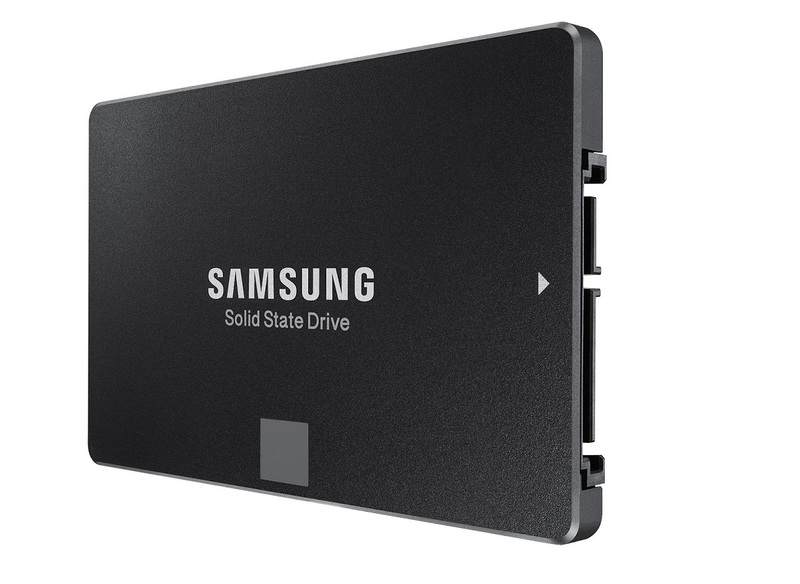 Ever since Samsung entered the SSD market several years ago, they’ve taken the SSD market by storm, unveiling phenomenal drive after drive. Late last year, Samsung introduced the Samsung 850 EVO which is the fastest mainstream SATA SSD we’ve tested. Based on Samsung’s new 3-bit per cell 3D V-NAND along with either Samsung’s MEX or MGX controller, the Samsung 850 EVO is able to crank out performance up to 540 MB/s sequential reads and 520 MB/s sequential writes. But that’s not all. In addition to the performance, Samsung also offers the 850 EVO a 5 year warranty, the longest warranty of any mainstream SSD on the market. Those who need additional storage for games, movies, and music can either step up to a higher capacity Samsung 850 EVO, or complement the primary drive with a secondary hard drive. The Western Digital Black hard drives are excellent choices for this purpose offering high performance, up to 4TB of capacity, and a 5 year warranty for peace of mind. Overall I think we did fairly well with this build with the biggest possible problems being component availability as Intel’s latest processors are currently in very high demand and low supply due to its recent release. With any luck, the supply issues will be ironed out within the next few weeks as more shipments begin rolling in.